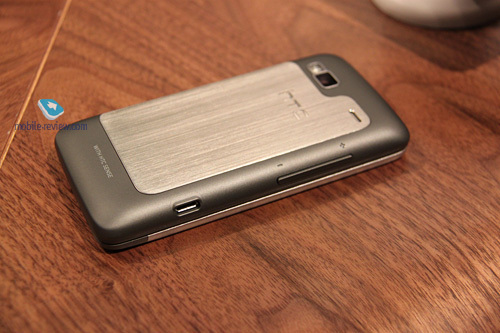 Side sliders with QWERTY are not at all a new venture for HTC. One can say that the Taiwanese have been among those who continue presenting new products using the form factor even when other companies choose not to do so or have their respective lineups significantly limited. 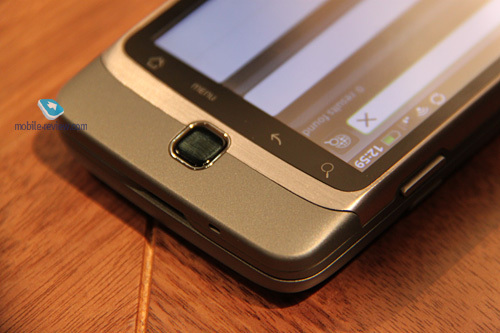 However, going the Android way, the company has concentrated on touch-sensitive slate phones, their only "robot" with a hardware keyboard being their first Android device, the test HTC Dream, also known as the HTC G1. 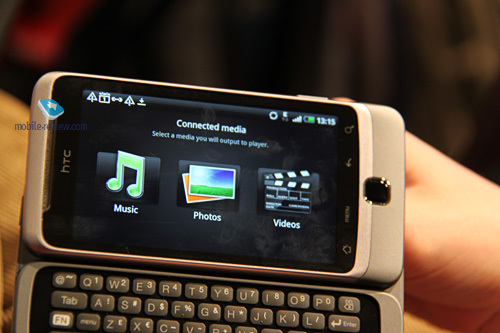 One and a half years after the release of the HTC Dream, the company unveils the HTC Desire Z, its second QWERTY-enabled Android device. According to my initial impressions, it is one of those models that can reach the customers despite their high price and a number of controversial features (which unfortunately tend to become more and more popular among the manufacturers). 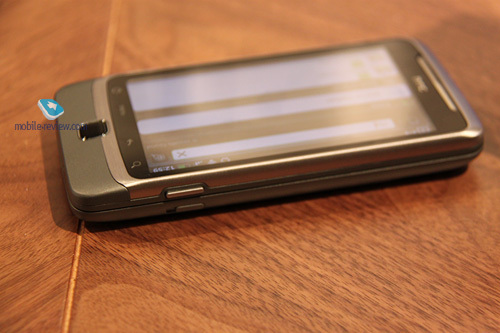 Compared to the HTC Desire HD, the looks of the Desire Z are far more appealing to me. Although there is some "patchy" flavor to its design, too – that is, its rear side consists of two elements, a metal battery cover and a frame – it remains somewhat more integral and logical than that of the Desire HD. The device is made of plastic but has a few metal elements. In particular, the aforementioned battery cover and the screen bezel are made of it. The plastic surfaces have a soft-touch finish to them. 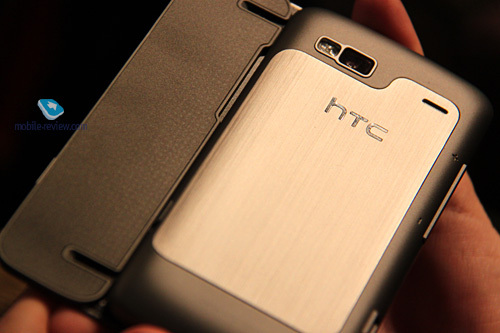 In addition, I can't but mention that HTC is using its traditional colors for this model. In my opinion, gray is a universal color per se, and a combination of several shades of gray is the best way to go if a manufacturer has just one or, at most, two or three color options to offer. 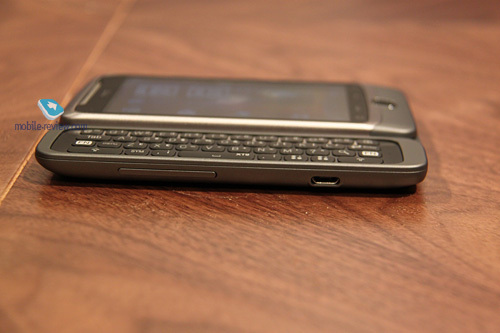 The smarthone is fairly thin, especially if you take into account the fact that it is a QWERTY slider. 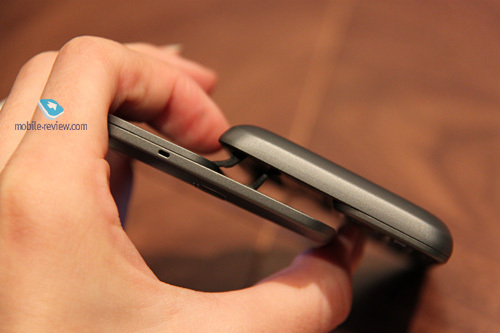 Just compare its thickness (14.2 mm) with that of the HTC Touch Pro 2 (17.3 mm) or that of the HTC Dream (17.1 mm). As of this writing, I don't want to comment upon the build quality. Let's wait for the full-fledged review. To conclude this section, I will say that I liked the Desire Z, both for its design and the selection of materials and colors used. It is way better than the first QWERTY-enabled "robot" (i.e. 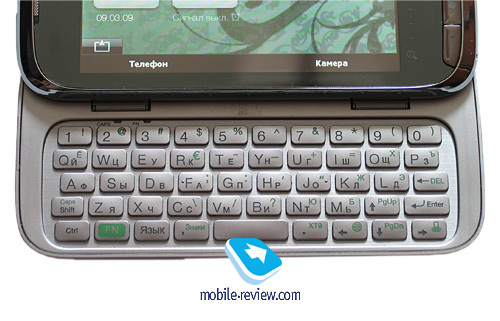 the HTC Dream) or the plump keyboard-enabled Windows Mobile device (i.e. the Touch Pro 2). The design of the new smartphone turned out to be strict and serious, one that gives you the feeling of an expensive thing, which was not really true for the Touch Pro 2. 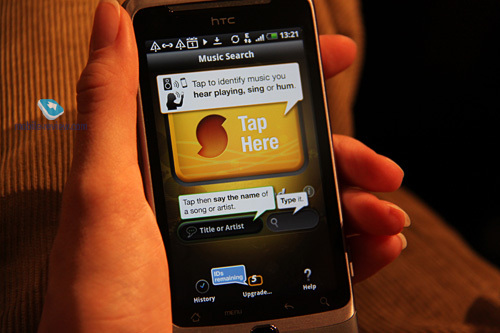 As far as control elements and hardware keys in general are concerned, the HTC Desire Z contains a number of pleasant features that other new products appear to be free of. To begin with, the device has a sensor panel, which allows you to browse through the menus, move the text cursor and do a bunch of other things by simply tapping it. Another nice feature is the presence of a hardware camera key. The camera itself can be found on the rear side, on the same level with the battery cover groove, and has a flash right next to it. Below the screen, you can find a block of sensor (alas!) keys: Home (launches the home menu and task manager), Menu, Back and Search. The sensor panel has a white backlight and provides you with vibro feedback. To receive and end calls, you will have to use the respective on-screen buttons. Near the camera button, there is a battery cover release lever, which I would prefer to be a hardware lock key. The 3.5 mm audio jack and microUSB port for the charger and data cable can be found on the top and on the left side of the smartphone, respectively. 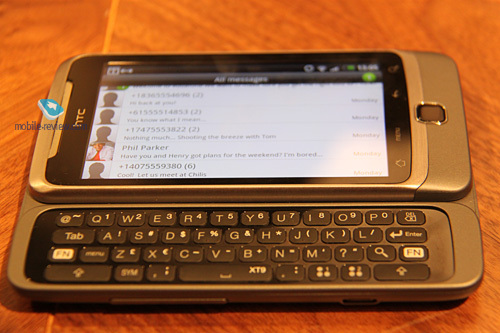 The HTC Desire Z sports a hardware QWERTY keyboard, which slides out when needed. The opening mechanism is analogous to that of the Nokia N97 and that is also probably why the smartphone has Z in its name, as the construction itself reminds of the symbol. The keyboard has four rows of wide rectangular keys, with rounded edges and some spacing in-between. 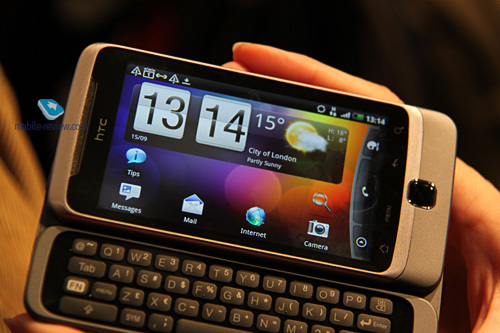 In terms of shape of the keys, their arrangement and overall space utilization, the keyboard is very similar to the one used in the HTC Touch Pro2, which is one of the most comfortable QWERTY keyboards out there. There are 48 keys in the keyboard, including TAB, FN and a number of other auxiliary keys. I am almost sure that it will be as comfortable to type on the Desire Z as it was on the Touch Pro 2. 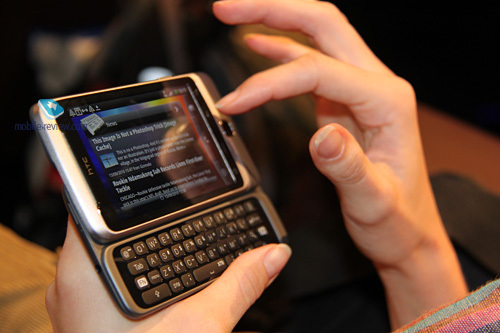 The smartphone is equipped with a 3.7-inch display with multi-touch support. It uses the S-LCD from Sony, which the company switched to from the Samsung AMOLED some time ago, and which can now be seen in the latest HTC Desire shipments as well as the newly announced Desire HD and Z devices. The display has a glass coating to it, which prevents it from scratches but doesn't really help fight the finger prints. In terms of image sharpness, the Desire Z is obviously better than the Desire HD or even the original Desire – all due to the smaller screen diagonal, the resolution being the same (800x480 pixels). 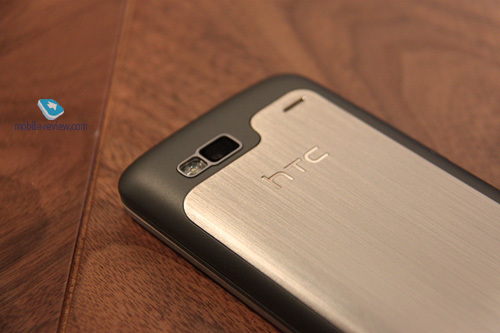 The HTC Desire Z features a 5-megapixel camera with autofocus and 720p video recording (i.e. 1280x720 pixels; those interested can take a look at the reference table). We will talk about the camera interface and capabilities in the full-fledged review. The device is based on the Qualcomm MSM 7230 platform with an 800 MHz processor, which is less horsepower than the Desire has to offer, but shouldn't be a problem for everyday tasks. You also get 512 MB of RAM and 1.5 GB of inbuilt memory for data storage. 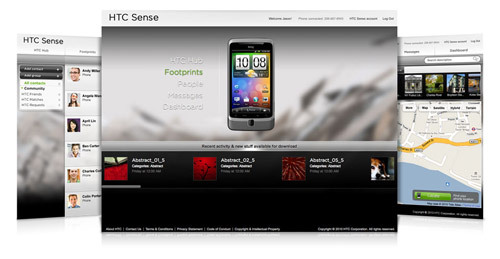 The wireless suite is standard for a contemporary Android smartphone – i.e. Wi-Fi, Bluetooth and GPS. There is hardly any sense to talk about the working speed or video playback capabilities until the final version arrives. Now let's add some subjectivity. 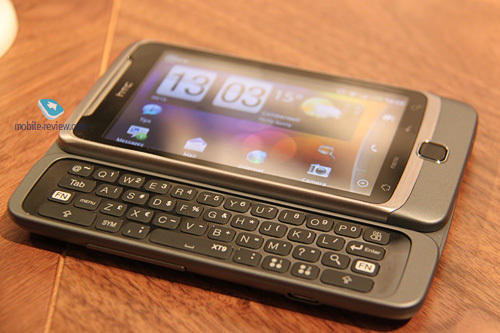 Before I got my hands on the HTC Desire Z I thought that the QWERTY slider was an extinct species. 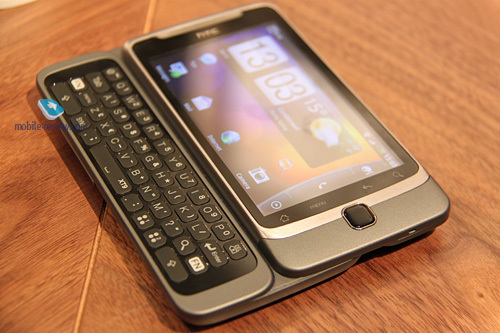 I came to that conclusion after the Google Nexus and HTC Desire, where the on-screen keyboard turned out to be so handy (that is especially true for the proprietary keyboard in the Desire) that I could no longer see any reason for a hardware QWERTY solution. 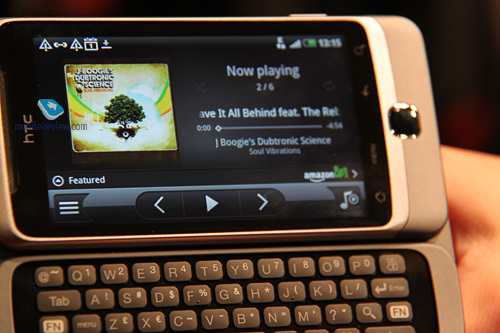 Even the on-screen keyboard in HTC HD2, a not-so-handy and responsive one, was close enough to the ideal. 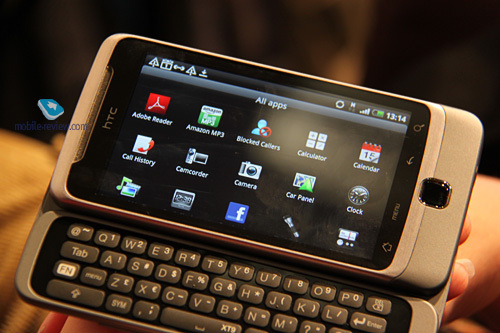 And when the HTC Desire came out, I finally realized that a software keyboard can be as comfortable to type on as a hardware one. And it is that very truth that I was trying to convey to people through my reviews and in various debates. 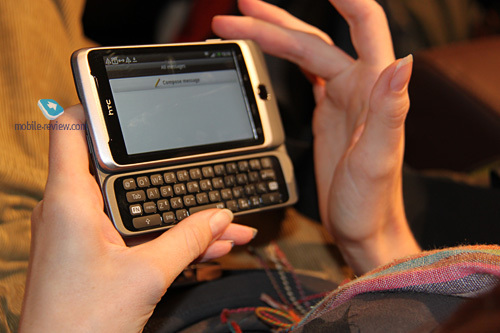 My immediate reply to anyone asking about a QWERTY-enabled smartphone was "Why? 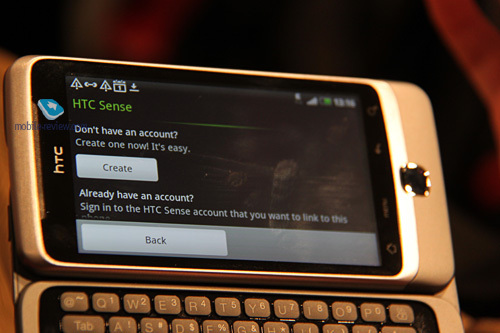 Take a look at the on-screen keyboard in the HTC Desire. It's really handy!" And suddenly HTC makes a new QWERTY slider, which I like and even find better than another new smartphone, the flagship model. I am not here to judge the company's motives, its positioning of the HTC Desire Z with the technologically superior Desire HD having almost the same price. Indeed, the Desire Z will be expensive at the beginning (the anticipated price is RUR 26,000, or approximately EUR 640, but will it actually be so? 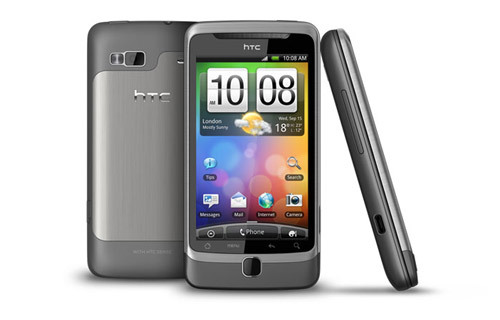 ), although not as expensive as, say, the HTC Touch Pro 2 was. The final conclusion is as follows. 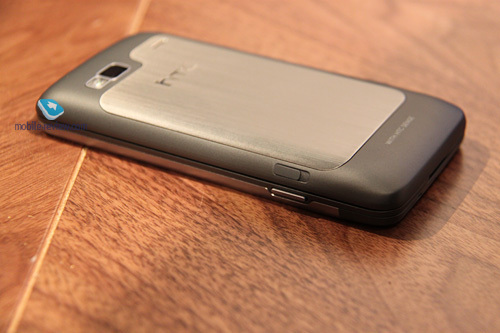 From the technical perspective, the HTC Desire Z is closer to the original Desire and is even somewhat simpler than the predecessor; yet in terms of design, I find the smartphone to be one of the best solutions the company has to offer, one that brings together quality materials and style. It is true that the Z, as any other HTC's latest breed, has only sensor keys, no hardware call buttons, and a weak 1300 mAh battery that will last for just one day. 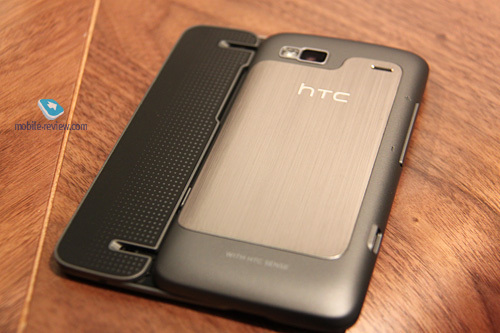 Still, I believe that the HTC Desire Z is worth more attention than the original Desire or even the Desire HD. And that is because you can see the adult HTC in it, the company that can make not only "wow" products with cutting-edge features but also devices that are beautiful in their balance of qualities, that can catch one's eye and yet be practical enough. Dimensions: 119 x 60.4 x 14.1 mm.